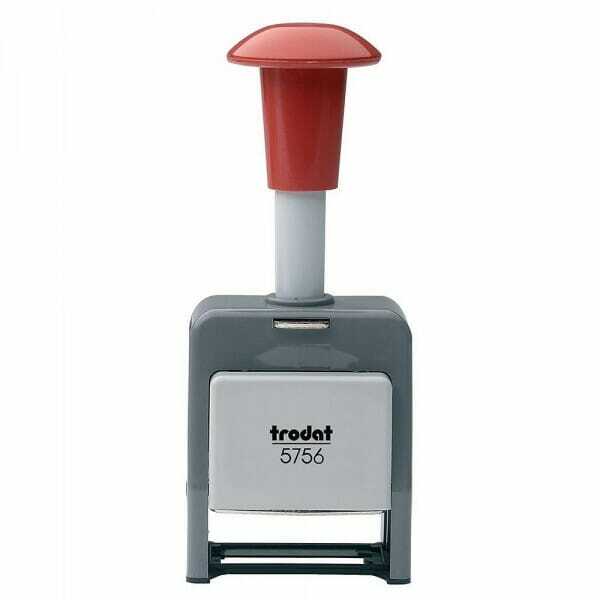 Trodat 5756/P Automatic Numbering Machine prints 6 digits with a height of 5.5 mm and repeats your numbers 0-6 times or 12 times before moving on to the next number. The robust, heavy duty stamp comes with a built-in black ink pad. To further extend the life of your stamp , order the suitable replacement ink pad 6/5756. Pads are available in black. Customer evaluation for "Trodat 5756-P Automatic Numberer - Plastic Frame 5.5 mm"